Chain restaurants will have to place warning labels next to each menu item containing 2,300-plus milligrams of sodium. Philadelphia Mayor Jim Kenney signed legislation Friday requiring chain restaurants to place warning labels next to each menu item containing 2,300-plus milligrams of sodium, the maximum recommended total sodium intake for an entire day. Kenney said in a release Friday that the city has the highest rate of high blood pressure of the country’s 10 largest cities, and lowering sodium consumption will (ideally) prevent hundreds of heart attack and stroke deaths each year. 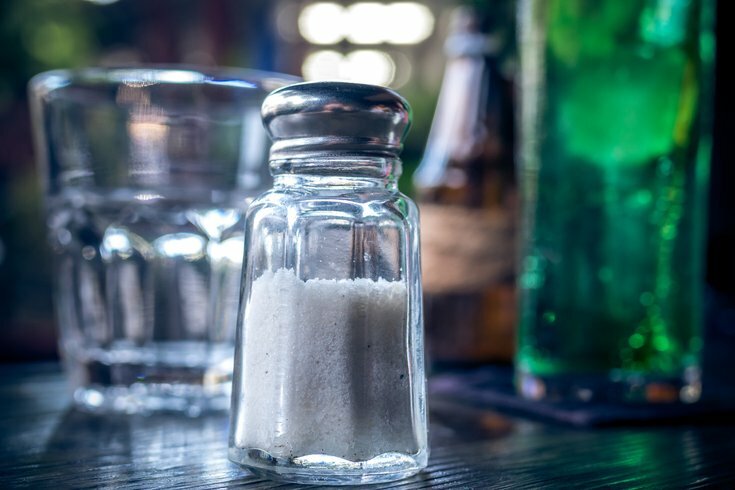 “Most of the sodium we eat comes from packaged and restaurant foods, not from the salt shaker at home,” Dr. Thomas A. Farley, Philadelphia’s health commissioner, said in a statement. The city won’t actually begin enforcing the new rules until one year from now, Sept. 14, 2019, and will also give businesses unable to meet the compliance deadline the option to apply for six-month extensions before handing out warnings and, eventually, fines for non-compliance. New York enacted the same rule in December 2015. Though Kenney signed it into law Friday, the legislation was introduced by Councilwoman Blondell Reynolds-Brown back in January. “For far too long, sodium has been an invisible factor for restaurant consumers and that is not something Philadelphia can afford,” Reynolds-Brown said in a statement Friday. Kenney, of course, was the driving force behind the city’s contentious soda tax, which he successfully pitched, not as a health issue, but as a revenue stream to offer universal pre-K and rehabilitate city parks, playgrounds and libraries. He’s received plenty of blowback. The soda tax was upheld by the Pennsylvania Supreme Court this summer.